Grand Central Terminal has plenty of secrets, though most of them aren’t quite secret, as they have been covered in the media in some shape or form. If you’re lucky enough to ever get on a VIP tour of the Terminal, there is one place that tour most likely will never go – the Williamson Library. That’s right – hidden within the walls of Grand Central Terminal, since 1937, is a library! 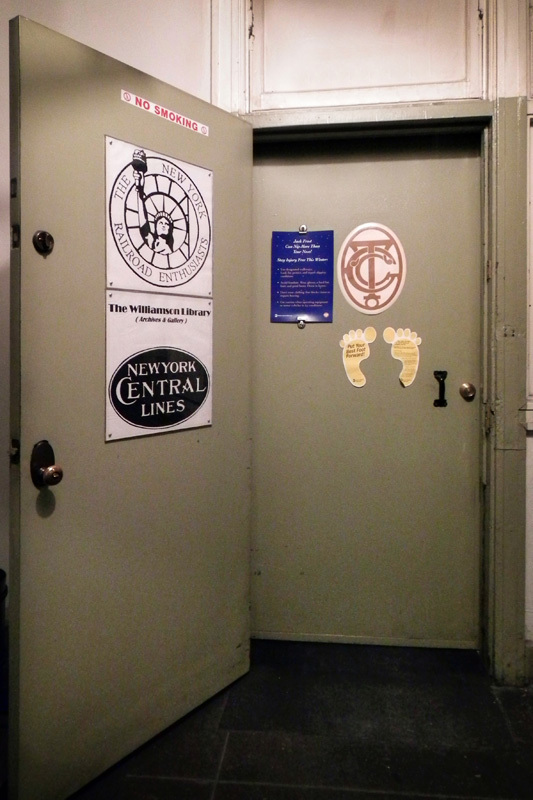 It certainly isn’t flashy – and probably not tremendously interesting to anyone that isn’t a railfan – but one of the library’s prized possessions makes this one of my favorite Grand Central secrets. Photograph of Frederick Ely Williamson, which appeared in Fortune magazine. Williamson served as president of the New York Central from 1935 – 1944, and founded the library. Frederick Ely Williamson, the library’s founder and namesake, was born on June 14th, 1876 in Norwalk, Ohio, the son of a clergyman. A 1898 graduate of Yale University, Williamson got a job with the New York Central in September of that year, after graduation. His first job with the railroad was as a Mohawk division clerk in Albany, with a salary of seventy dollars per month. 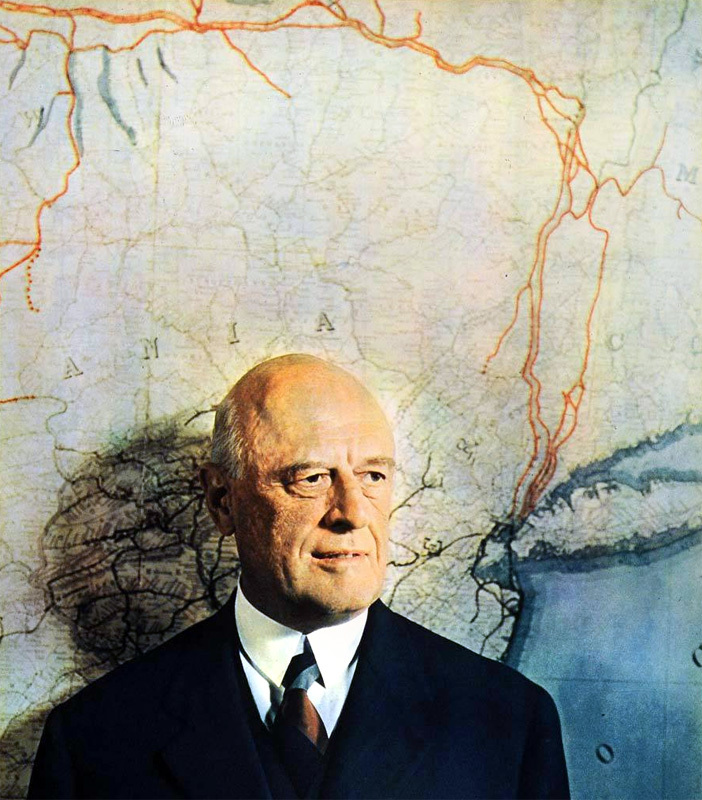 By 1917, he was an integral part of the railroad, coordinating the movement of war supplies on the eastern seaboard. 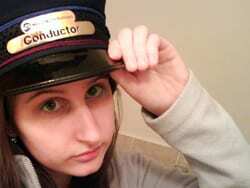 When the government took over the railroads for the war, he became the general agent for the port of New York. After the war, he continued his employment with the New York Central until 1925, when he became the vice president of the Northern Pacific railroad, and president of the Chicago, Burlington and Quincy. By 1932, Williamson had returned to New York, and ascended to the presidency of the New York Central, leading the company through the end of the Great Depression. During World War II he was appointed a Colonel by the Army, and named supervisor of railroads in the Eastern region. Williamson served as president of the New York Central until August 14th, 1944, when he resigned due to poor health. Shortly afterward, Williamson died in New York on September 29th, 1944, at the age of 68. Although that short biography details the life of an intriguing individual, it leaves out one major detail about Mr. Williamson – he was not just a railroad executive, but a big railfan. A member of the Railroad Enthusiasts of New York, he founded the library that was eventually named after him in 1937. 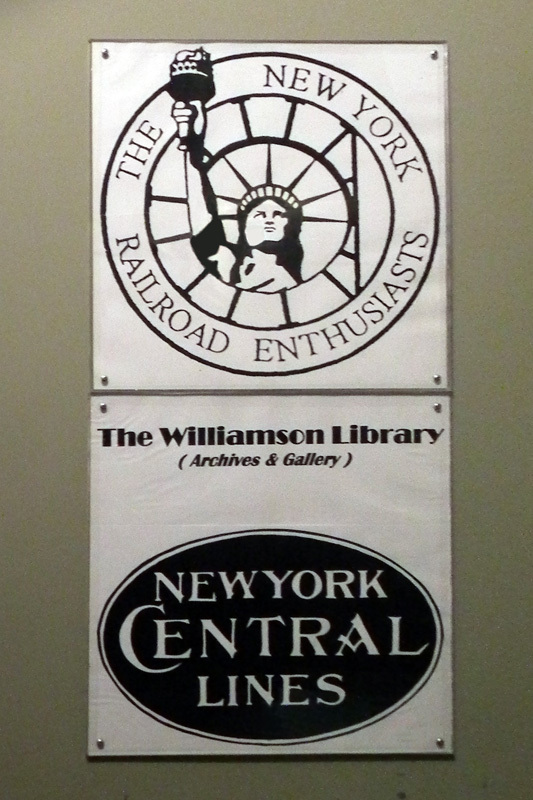 The library has been under the care of the Railroad Enthusiasts of New York ever since, and its current membership contains plenty of railfans, old railroaders, and even some current Metro-North employees. 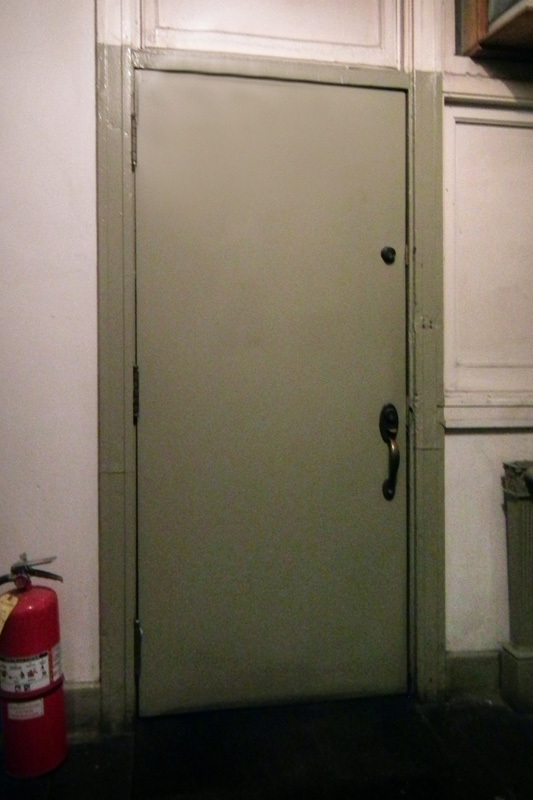 Behind one very innocuous-looking door lies another door, and the entrance to the library! Panoramic view of the Williamson Library, decorated with lights for the holiday season. Located above the Apple store, the Williamson Library is generally closed off to the public. Without a keycard for the elevator, you’d likely never make it up to the floor. Even if you managed to do that, the outside door is so plain and unremarkable you’d likely never even notice you’re standing outside a room full of history. Contained within the library is an archive of over 3000 railroad-related books, periodicals, and other literature. 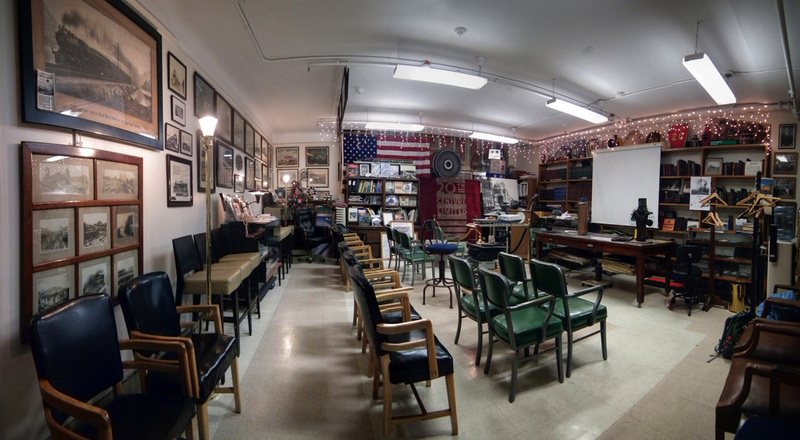 Visitation for research is by appointment only, and the room is otherwise used for New York Railroad Enthusiasts’ meetings. It is also home to various old artifacts, including the first version of Metro-North’s mascot Metro-Man, and a remnant of the original 20th Century Limited red carpet. 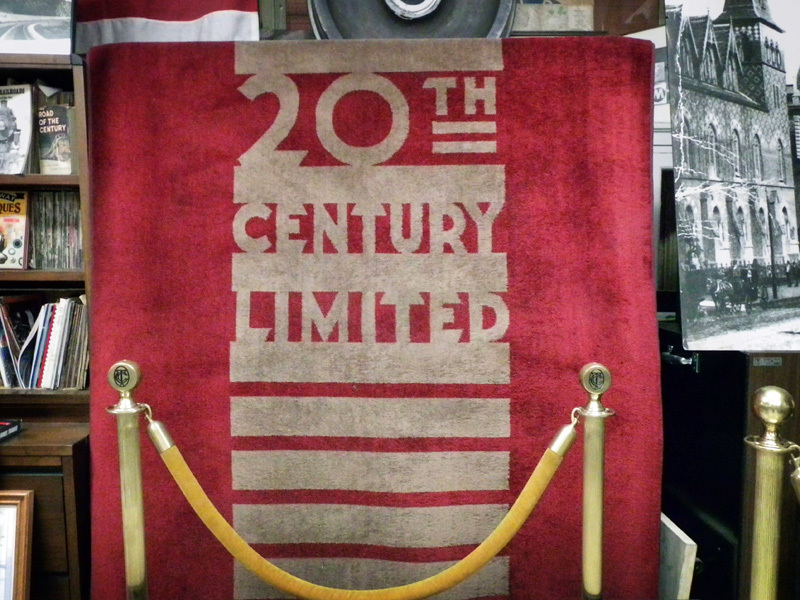 The prized possession of the Williamson Library – a remnant of the 20th Century Limited red carpet. The 20th Century Limited, which traveled from New York to Chicago, is likely the most famous train to have ever used Grand Central Terminal. The height of fashion and luxury, it transported countless famous faces throughout its history. Lavishly appointed, the whole experience commenced with a walk down a plush red carpet. It is claimed that the phrase “rolling out the red carpet” entered our lexicon because of this famous train. 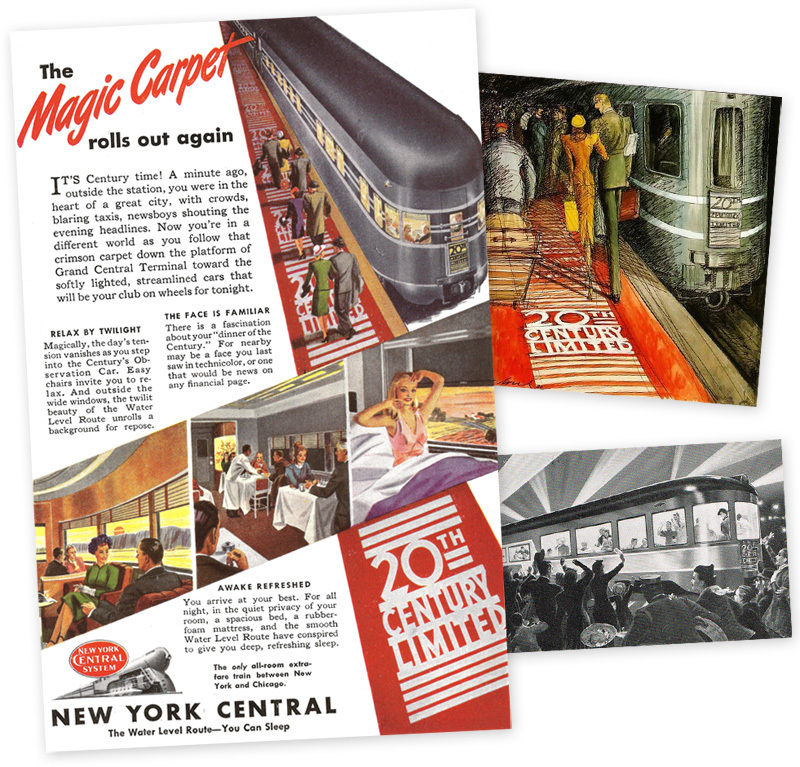 After the 20th Century Limited was eliminated in 1967, the old carpet was no longer needed. Thankfully, some folks had the foresight to cut the long carpet into pieces, and save a few remnants for posterity. 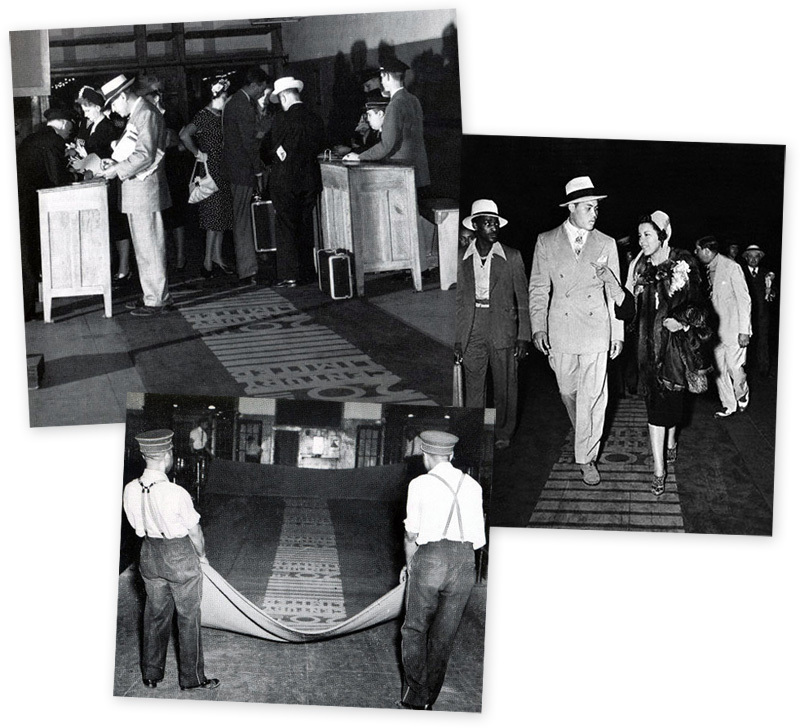 Advertisements and photographs of the red carpet in action. If you’ve been following our Grand Central centennial celebration on facebook, 100 for 100 (which you totally should be! 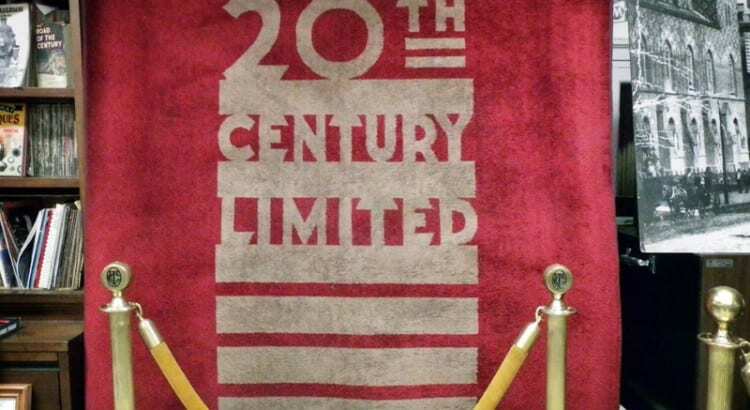 ), you’ll recall that I mentioned the 20th Century Limited’s red carpet just the other day. I know of at least two different remnants of the original carpet – the one found in the library in Grand Central Terminal, and another that stays with the restored former 20th Century Limited observation car, Hickory Creek. 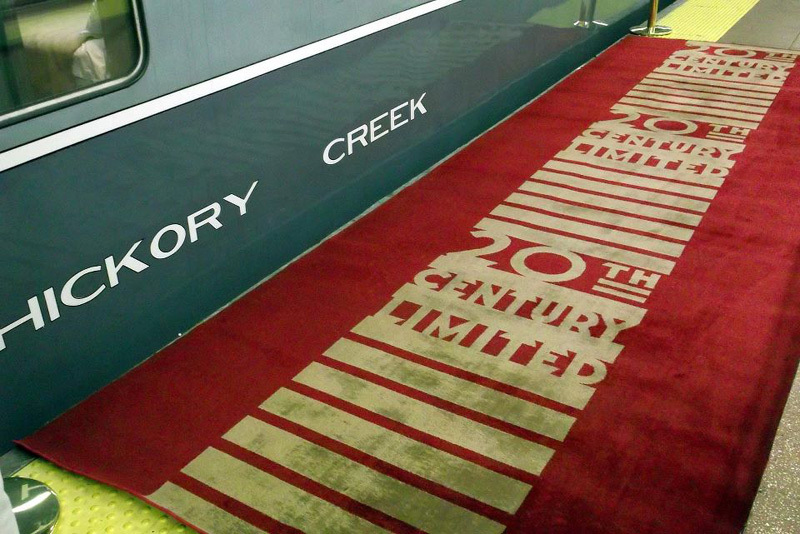 If you visited Grand Central during National Train Day, you likely saw a portion of the red carpet – this was the one that travels with the Hickory Creek, and not the one that resides in GCT. The other known surviving remnant of the 20th Century Limited red carpet in Grand Central on National Train Day. Photo by Otto Vondrak.